I am sure you have heard that rising interest rates have a negative effect on real estate notes and I wanted to take a closer look at why. It is important to understand how rising interest rates affect your current notes and future note investments. Let’s first examine U.S. Treasuries and their impact on investments. U.S. Treasury interest rates are used by investors as a benchmark to price other investments and are looked at as “risk free” since they are 100% backed by the U.S. Government. As such, investors build in a “risk spread premium” over the “risk free” treasury rates. Although U.S. Treasury rates are still historically low, current rates are between .25% and .5% higher than they were just a month ago. Such significant increases in a short span of time reflect the market’s growing uneasiness with the threat of inflation. If you purchased a real estate note a month ago with 120 remaining payments (10 years) and you discount your purchase price to yield a 12.50% investment, your “risk spread premium” in relation to the “risk free” 10 year treasury rate is around 9.68% (12.50% – 2.82% 10 Year Treasury rate). Now if you were looking at buying the same note investment today, just one month later, you would have to pay the note seller less for it to keep your same risk spread premium. Keeping your same spread of 9.68% plus the new higher current 3.34% rate on the 10 Year Treasury= 13.02%. This means instead of discounting the investment to yield 12.50% you now need to discount it to 13.02% to retain your risk spread premium. This ultimately results in a lower purchase price for the investment (less cash for the seller of the note). To better illustrate this, let’s take a look at a fully amortizing note example with the following terms. To receive an annual yield 12.50%, how much would you would pay for the $50,000 principal balance one month ago when the 10 year treasury interest rate was 2.82%? Although the principal balance on the note is still $50,000, you can only pay $37,923.01 if you want to receive 12.50% annual returns over the next 10 years with this note. This is 75.85% of the current outstanding balance of the note. What if the 10 year treasury rate went up to 8% from its current level of 3.34%? Is an 8% 10 year treasury rate possible? Remember that in 1981 the 10 year treasury was 15.84%. 8% is only half of where the 10 year treasury was 29 years ago… so yes… it is possible. What does this do to the value? 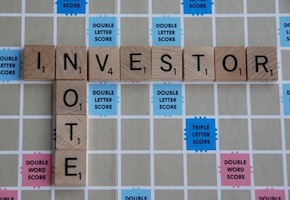 Does this mean that note investing is a bad investment? No, not at all. Just proceed cautiously with your eyes open. What you do need to do is keep an eye on U.S. Treasury rates and make sure you are retaining an appropriate risk spread premium for the notes you are evaluating. Another good way to mitigate the risks associated with real estate note investing with in a higher interest rate environment is to limit the time you tie your money up in a note. By controlling how long your money is out working, you can adjust your risk spread premiums appropriately if rates take a jump. For example if you purchase a five year note and interest rates rise significantly, you will have your money returned to you within 5 years and you can redeploy your money back into the market at the higher interest rates. However, if you purchased a 30-year note and rates jump, the payor has no obligation to pay you back any sooner than the 30 year term on the note. Who knows where Treasury rates will be in one, three, five, ten or thirty years. Fixed income investments such as real estate notes with terms far into the future could really get hit hard if interest rates continue to rise and inflation gets out of control. Invest accordingly.